I've been around the island, and again, I'm hard pressed to pick a favorite. All I know is that our group stayed two nights and wished we could stay on! 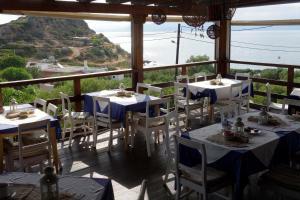 It We had one of our most perfect meals in Nikolaos and the breakfast very, very nice. The nearby beach with service was my dream of a perfect vacation. it was fairly basic in parts but far more interesting than a modern box hotel room! We had a huge terrace over looking the sea, we really liked it. Chill out area is gorgeous, open terrace to eat breakfast at was lovely. The hotel staff were very friendly and helpful. Lovely location. Buffet food very good. Very lovely setting and beautiful view. Nice restaurant with sea view. And nice salted pool. Very clean. Peaceful. Comfortable beds. Great sleep here. Отель в виде аутентичной критской деревушки на высоком холме. Номера как отдельные домики этой деревушки. Между номерами узенькие улочки и лестницы. На ресепшен или на завтрак надо спуститься по этой улочке-лестнице (перепад несколько этажей). К бассейну ещё ниже. Моя жена боялась заезжать на парковку к номерам-домикам отеля - очень крутой и извилистый подъем - первая передача с трудом тянула... Нам достался огромный номер-домик - спальня, кухня, гостиная и балкон с шикарным панорамным видом на море и столиком с креслами. Плюс огромная панорамная терраса с лежаками и столиком. Дорога идёт внизу вдоль моря и совсем не слышно. Тихо, по утрам петухи... Деревня! Хорошие завтраки. Завтрак -"шведский стол" достаточный, но несколько однообразный. Восхитителный вид с веранды! Доброжелательное отношение персонала, хорошая уборка номера. Спокойно и тихо. Отдыхали вдвоем с внуком 8-ми лет. Нареканий по поводу уборки номера нет. Приходили в номер после пляжа в чистый номер. Постельное белье меняли своевременно. У нас были апартаменты с одной спальной, в которой была двухспальная кровать. В другой комнате были две односпальные кровати, холодильник, плита для приготовления пищи, которой мы ни разу не воспользовались. Пляж находится через дорогу от отеля. Небольшой, но места хватает, платный. В десяти минутах езды от отеля находится город Агиос Николаос, где можно погулять, пообедать, поплавать. В этом же городе есть автобусная станция и морпорт. В другую сторону от отеля (тоже в 10-ти минутах) обязательно советую поехать на автобусе на пляж, расположенный в бухте Вулизма. Красота... неописуемая. Море по цвету просто волшебное. 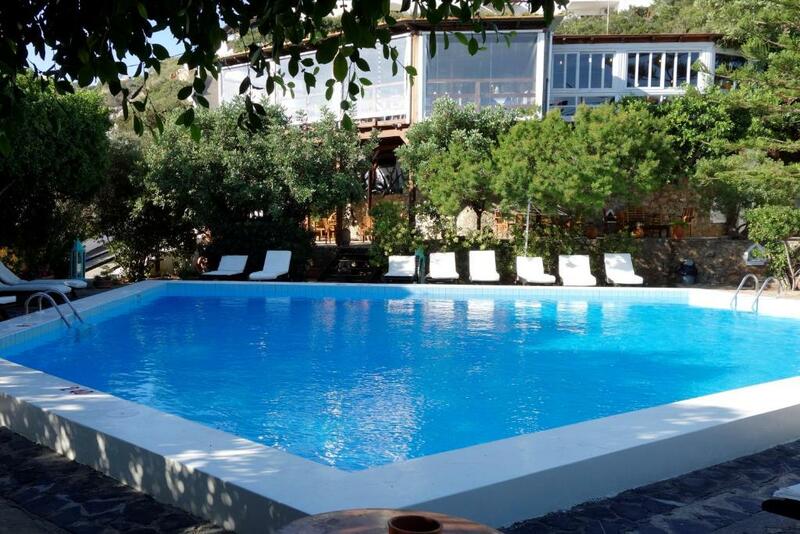 Cretan Village Hotel This rating is a reflection of how the property compares to the industry standard when it comes to price, facilities and services available. It's based on a self-evaluation by the property. Use this rating to help choose your stay! 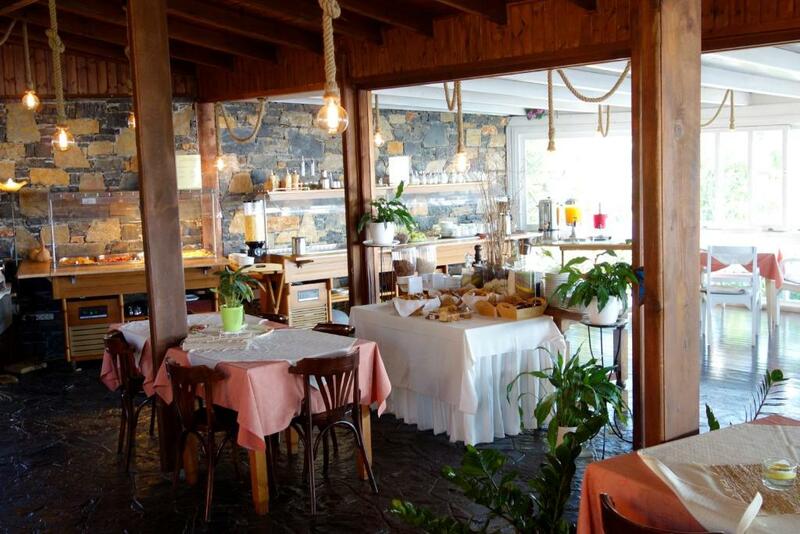 In the quiet area of Amoudara, a 3 miles drive from the center of the city of Agios Nikolaos, the Cretan Village Hotel is a hotel complex offering unique apartments with cooking facilities. The Cretan Village Hotel features a total of 37 one and two-bedroom apartments, each of which is brightly colored, neatly furnished and rustic in style. Apartments range in size from 530-1,290 ft². Each apartment features a separate bedroom and living room, private bathroom and a full kitchen, as well as a sunny balcony with lounge chairs. On the hillside, the Cretan Village offers scenic views of the resort’s gardens to the sea. Within 150 feet of the hotel, guests have a choice of 3 beautiful pebble beaches; the nearest sandy beach of Amoudara is just over a quarter mile away. Recreational facilities at the Cretan Village include a lovely outdoor swimming pool with terrace and lounge chairs. 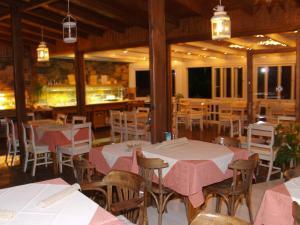 The property also features a cafe-bar and a restaurant that offers a range of traditional Greek cuisine. 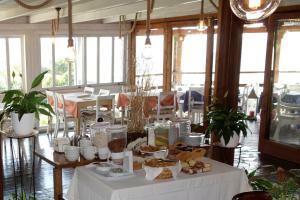 When would you like to stay at Cretan Village Hotel? 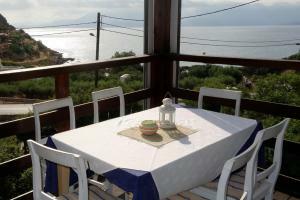 Spacious apartment with living room, private bathroom, full kitchen and large sunny, sea-view balcony. This apartment features a balcony, flat-screen TV and kitchenette. 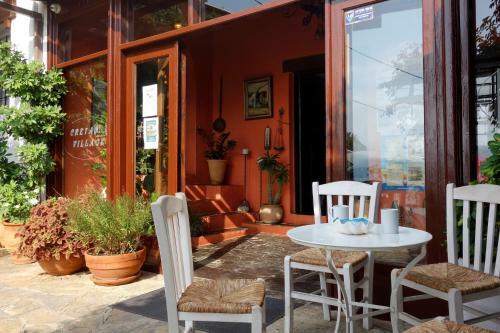 The Cretan Village is a family run resort, highly recommended for your vacation due to it’s friendly atmosphere, delicious freshly made food based on Greek cuisine with locally sourced ingredients. 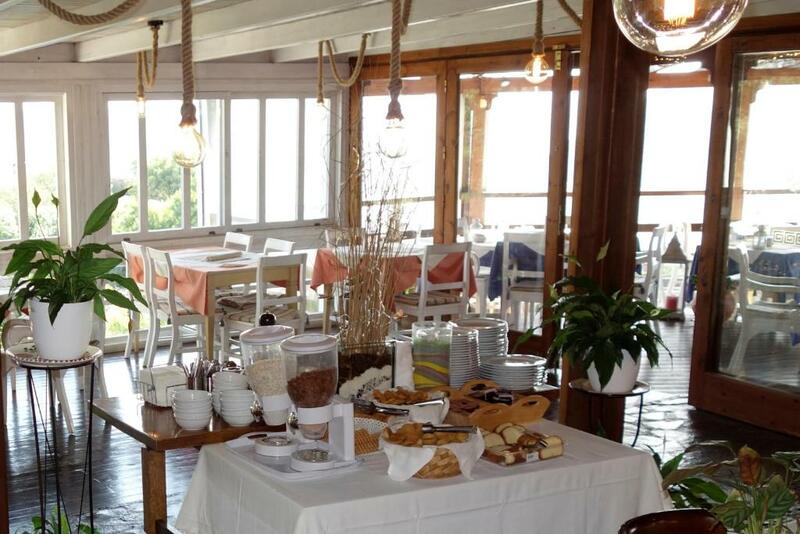 It is located on a hill slope with a panoramic sea-view, a charming swimming pool with sea-water surrounded by a lush garden and two beaches, fifteen meters distance from the hotel. The friendly staff will be at your service to accommodate any of your requests and make sure you will have an unforgettable vacation with us. It will be our pleasure to welcome you as our guests and we will make sure that you will leave the beautiful island of Crete, with the memories of a lifetime. 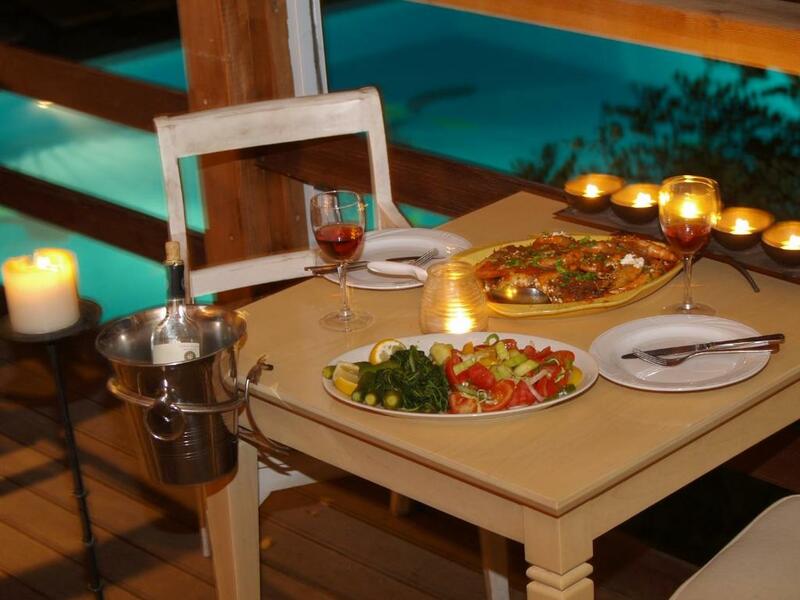 House Rules Cretan Village Hotel takes special requests – add in the next step! Cretan Village Hotel accepts these cards and reserves the right to temporarily hold an amount prior to arrival. Please inform Cretan Village Hotel of your expected arrival time in advance. You can use the Special Requests box when booking, or contact the property directly using the contact details in your confirmation. It is important to know that it is built on the side of a mountain and climbing to the rooms involves climbing a lot of stairs. Not everyone fits. One thing clouded our experience: when I made the reservation, I ordered a large, spacious apartment with 2 bedrooms and a large living room, but when we got there we got a small, cramped apartment that was not actually booked. Only after I went down to talk with them did they say they would try to check what they could do and about two hours later they gave us another apartment (as I had originally ordered). It made me feel bad. If I did not talk to them, they would leave us in the small apartment. Air conditioning was only downstairs- upstairs very hot but we went and bought a cheap fan which made a big difference. Got used to the heat! Accommodation fairly basic but adequate for our needs. Massive slope to get up to the apartment but left with toned legs! !